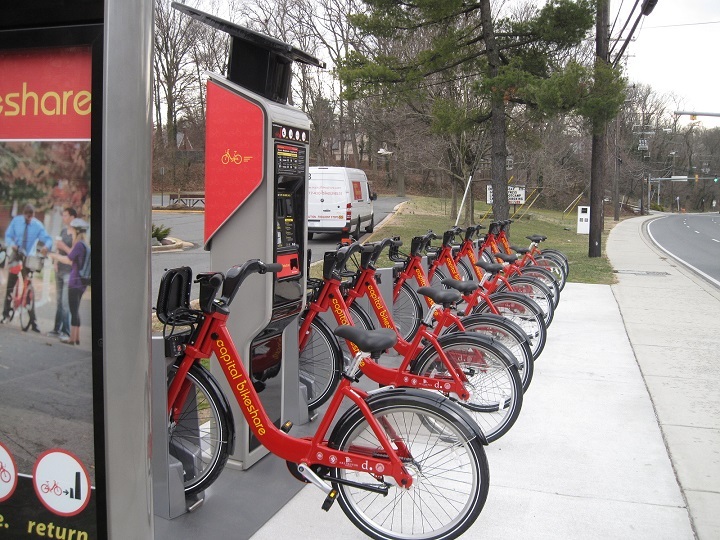 This project entails the installation of two new Capital Bikeshare stations at the Recreation Center on New Hampshire Avenue and at the Takoma/Langley Crossroads near the new Transit Center. This project is part of the Takoma Park Bikeways Program. Takoma Park Recreation Center at 7315 New Hampshire Avenue, adjacent to the northbound New Hampshire Avenue sidewalk. See Site Plan. Westbound Kirklynn Avenue between New Hampshire Avenue and Hammond Avenue, adjacent to the south driveway of the Hampshire Langley shopping center. A new bumpout was constructed in the Kirklynn Avenue right-of-way to accommodate the bikeshare station. See Concept Design. The City was awarded $100,000 from the Maryland Bikeways Program in FY16 for two new bike share stations, to be installed in FY17.